Nawaz Sharif is scheduled to meet King Salman and Crown Prince Muhammad bin Salman to discuss what the ruling PML-N said are "important matters". 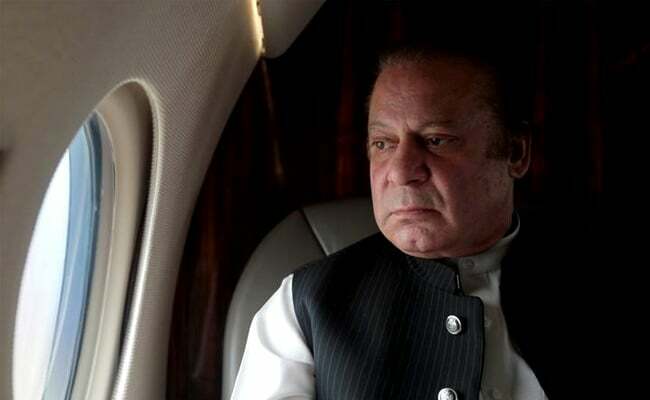 Lahore: Pakistan's ousted Prime Minister Nawaz Sharif who left the country on Saturday amid reports of a "deal" between the embattled Sharif family and the powerful military establishment, has arrived in Saudi Arabia. Mr Sharif left for Riyadh on a Saudi Airlines flight Saturday evening. He is scheduled to meet King Salman and Crown Prince Muhammad bin Salman to discuss what the ruling PML-N said are "important matters". Mr Sharif, 67, had to step down as chief of the Pakistan Muslim League-Nawaz (PML-N) after he was disqualified as prime minister by the Supreme Court on July 28 in the Panama Papers scandal. The political future of Mr Sharif, who leads the country's most powerful political family and his party, has been hanging in the balance since then. If convicted, he can be jailed. His younger brother, Punjab Chief Minister Shahbaz Sharif is already in Saudi Arabia on an "official visit". The Saudi government had sent a special plane for Shahbaz's travel to the kingdom last Wednesday. He is believed to have prepared the ground for the visit of his elder brother. Opposition parties say that since the Sharif family is facing multiple cases in courts and political challenges it needs its friends in the Saudi royal family to reach a deal with the establishment in Pakistan. Opposition leader in the National Assembly Syed Khurshid Shah objected to the Sharifs' Saudi visit. "It looks like the matter is towards seeking forgiveness and that a National Reconciliation Order (deal) may be on the horizon. If such a situation arises, I think we will have to shut our courts and go home," he said. "I feel sorry to see that foreigners are being involved in local matters. If Saudi Arabia intervenes for reconciliation between the Sharifs and the establishment it will be shameful that Pakistan, a nuclear power, cannot make its own decisions," Mr Shah said. Pakistan Tehreek-i-Insaf chief and cricketer-turned politician Imran Khan said his party would launch a movement if the Sharifs were given any relief. "If the Sharifs are given any relief after a deal we will be on the roads," he said. Foreign Minister Khawaja Asif rejected the opposition's charges, arguing that the Sharifs had spent eight long years in exile in Saudi Arabia and enjoyed good relations with the royal family. Saudi Arabia had brokered a deal with former army chief General Pervez Musharraf in 2000 to provide safe passage to the Sharif family to live in exile in the kingdom after Musharraf had toppled Mr Sharif's government in 1999.